Keeping up to date with trends and requirements to ensure the programme meets the needs of our members is key to the success of this group. As a group, most of the work is carried out via monthly online meetings and by e-mail. Our main aim is to encourage and promote good practice, share ideas and provide a friendly environment to discuss pertinent placement topics. Members of the group are experienced in their field, but are certainly not the experts! Facilitating workshops provides both ASET presenters and delegates with a valuable learning experience and an opportunity to network. The workshop programme contains regular workshops, but also evolves year on year to accommodate the changing landscape of placements and professional work experience. 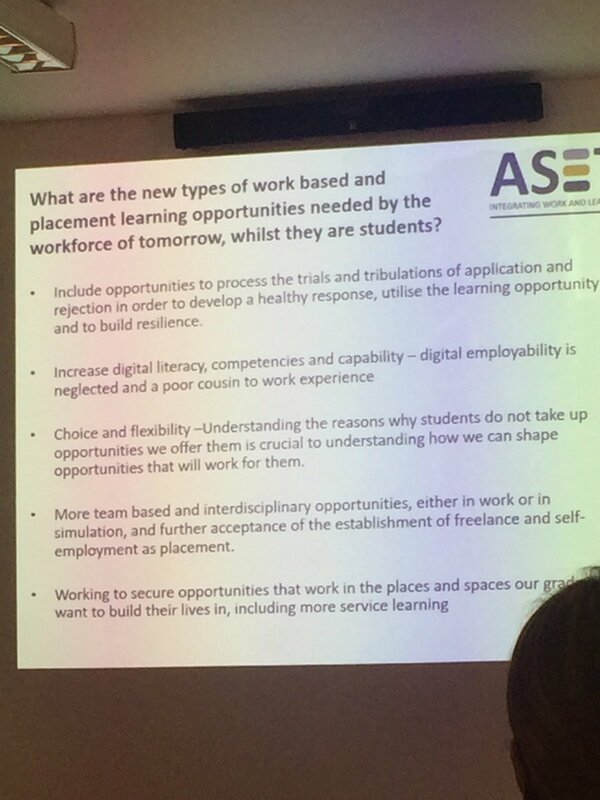 If you have any suggestions for workshop topics, any other comments, or are interested in getting involved with the Staff Development Group, please contact Debbie at the ASET office.